After 16 long months, Bandon's own community golf course is back and better than ever! Formerly the Bandon Face Rock Golf Course - Old Bandon Golf Links is now open for play! With some new yardages, bunkers and green configurations plus the promise of a traditional links-style experience this newly reconditioned 2,200 yard, 9-hole, scenic course provides fresh challenges on one of the Oregon Coast's historic golf courses. Old Bandon Golf Links offers individual, family and corporate memberships as well as great walk-on rates. 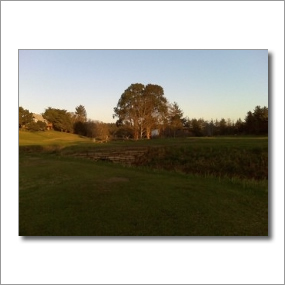 Highly rated and challenging 18-Hole Par 72 Championship Golf Course. Plan your visit to Brookings. All your charter fishing and whale watching needs on the Southern Oreon coast.